Formerlly known as the Old Mission Hall, the cottage is a renovated former primary school and a Free Presbyterian church, dating back to the 19th century. 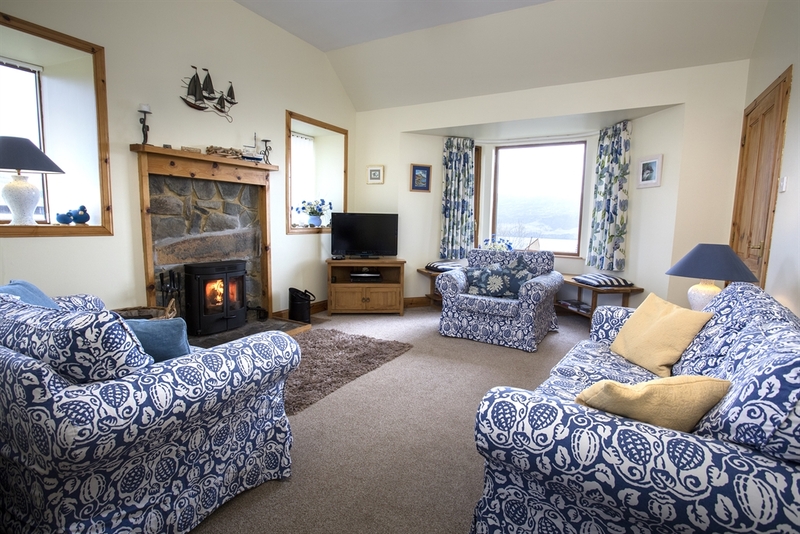 It is on an elevated position with fantastic views of Lochbay, the Minch and over to the Western Isles. 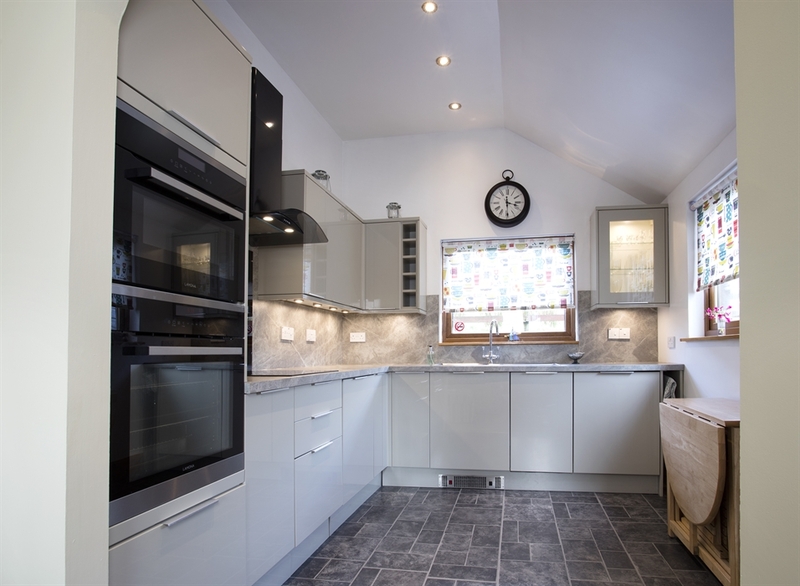 The cottage offers a comfortable dwelling on one floor with 1 double and 1 twin rooms, a kitchen diner and lounge with all the modern conveniences. 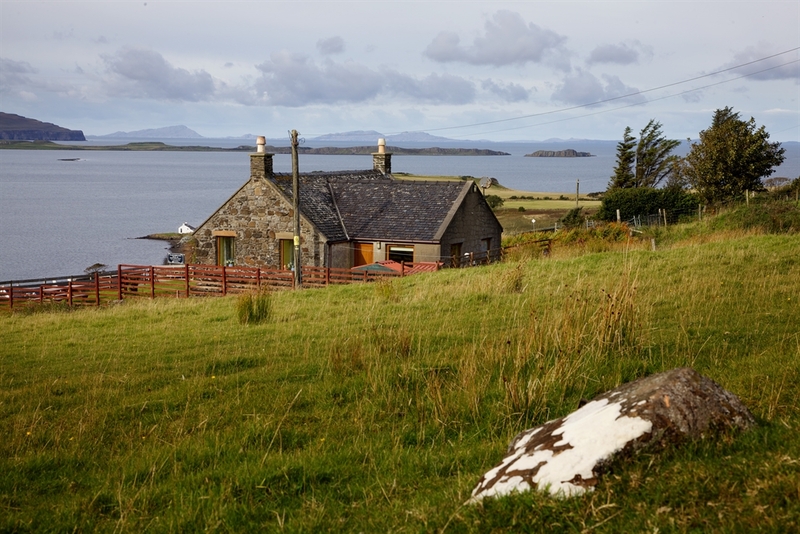 It is in an ideal place to investigate the Waternish peninsula and the Isle of Skye. 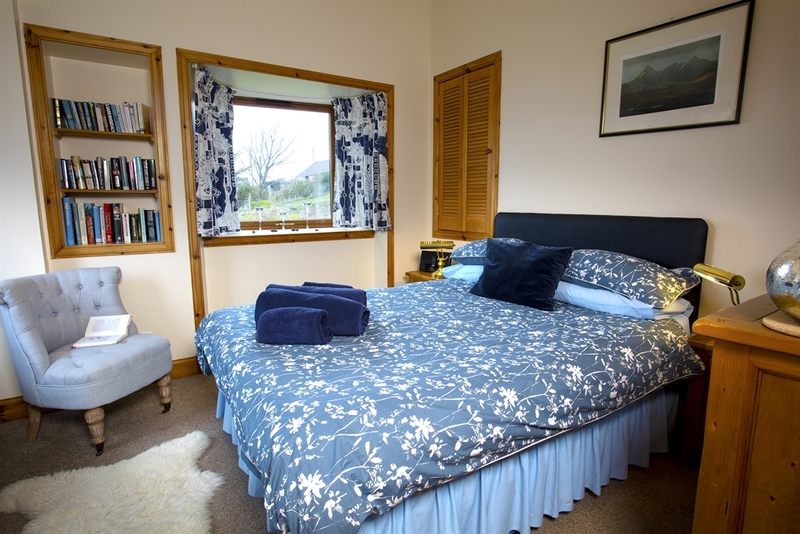 It is within 1 mile of the community of Stein and the oldest inn on Skye, Stein Inn. The Auld Mission Cottage was renovated in the early years of this century, maintaining some of the original stonework but bringing the property up to modern day standards. 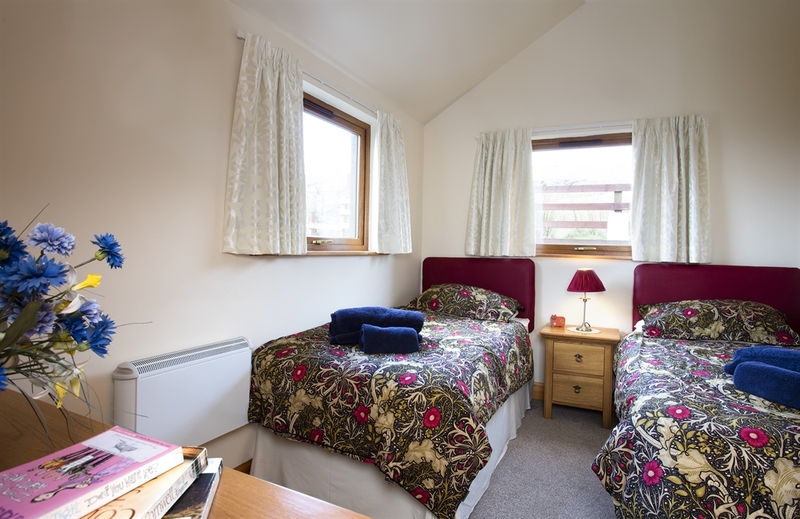 A double bed room and a twin bedded room. 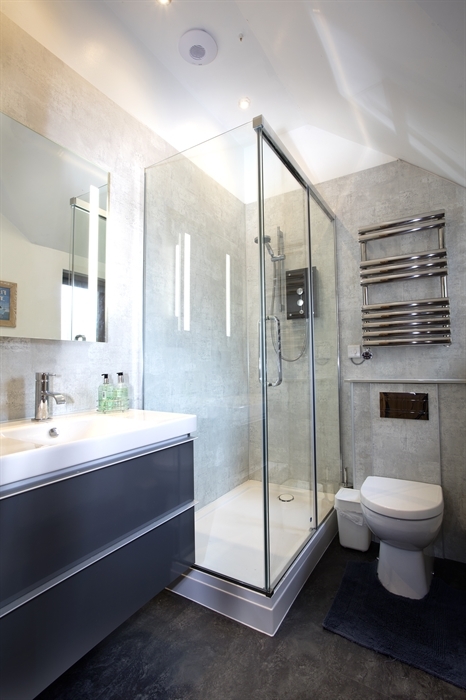 A bathroom with over the bath electric shower. A through lounge with free satellite television, loads of books and information and games. No mobile phone signal but we provide a pay phone. 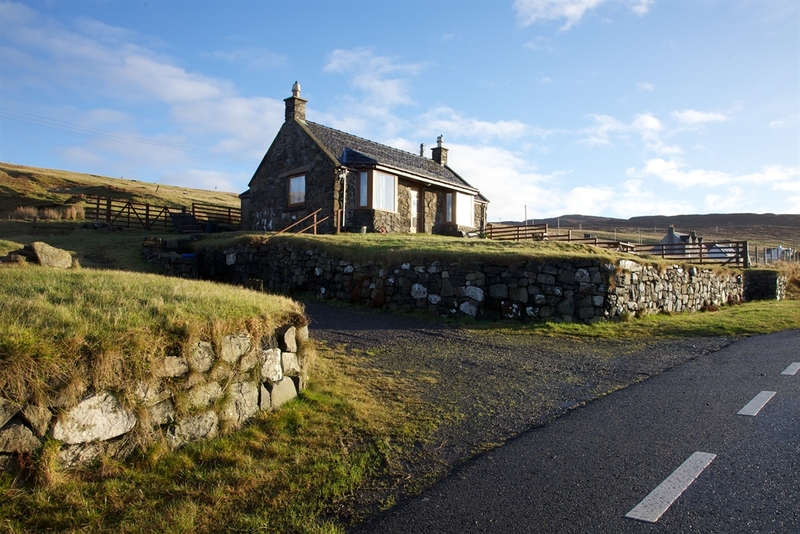 The cottage is on the Waternish peninsula, which is arguably the most popular parts of the Isle of Skye, with the reknowned oldest inn of Stein Inn, Lochbay Seafood restaurant, the 5 star visitor attraction of Skyeskyns, many other craft shops, boat trips from the jetty at Stein and a dive centre. Small local shops which offer most of daily needs are avaialbe in Dunvegan about 7 miles away which also has the famous Dunvegan Castle. The main town of Portree is about 22 miles away. There are many on the falt walks locally and the majesty of the Cuillin are less than 1 hour away for those more adventurous. At Stein there is a slipway for those with boats or canoes. For cyclists, bikes can be hired from Stein Inn. During April to October the cottage is booked Sat to Sat but outwith this time shorter breakd will be considered. Please contact us for reduced tariff.